It’s new year’s eve. An end of financial year. Happy New Year, Australia! Many of us are receiving eMails and last minute pitches from companies and charities reminding us it is the end of the financial year. These eMails state it is our last day to purchase this item or that service and it’s our last day to give a donation this financial year. Prior to today, our letter boxes were stuffed with advertisements and also with charitable appeals seeking that end of financial year purchase or last donation. In three days, I received over two dozen appeals because of the various charitable organisations I give to or am affiliated. That’s not a gripe – it’s just a reality. And, today, I woke up to a dozen emails from charities, alone, stating it was the last chance to give this financial year to save an organisation, to help another organisation reach their goal, and to help another discover life saving cures for diseases, etc. It’s sort of like a political campaign. Candidates get their messages out through mass marketing and try to convince the voter they are the best choice or a terrific choice amongst the field. Non-profit organisations are in the same boat. Charities have made their case through the post, phone, and eMail. It is now up to people to decide : a) will they make a donation today and, if so, b) which organisations will they give their final donations to on the last day of the financial year? Charities have done their job. Most non-profit organisations have been strategic and many have been persistent. Donors will make final decisions today. It’s all in their hands to decide. Let’s hope the donors decide yes on question a, above, and name your organisation in their answer to question b. Good luck! Happy New Year! Fundraising Effectiveness Project – what is it and is it worth launching in Australia? The Fundraising Effectiveness Project – what is it and is it worth commencing in Australia? In 2006, the Association for Fundraising Professionals (AFP) and the Center on Nonprofits and Philanthropy at the Urban Institute established the Fundraising Effectiveness Project (FEP) to conduct research on fundraising effectiveness and help nonprofit organisations increase their fundraising results at a faster pace. Now, 11 years later, the project has allowed 6,000 non-profits in the US to measure, compare, report, and analyse their growth in fundraising. Australian charities are hungry for information to compare and contrast their organisations against others in the marketplace. Not all organisations can afford to participate in Pareto Benchmarking or Blackbaud’s donorCentrics. One way to gather this information is for an organisation to survey organisations seeking information about fundraising revenue and spend, staff size, and other metrics for use in fundraising strategic planning, budgeting, and other areas. The challenge with surveying colleagues is most fundraising professionals will say they are time poor and many will shy away from responding. Imagine if 5an organisation surveys 12 NFPs in a given year. Now multiple that times the number of us who survey colleagues wanting to know this type of information. That’s a lot of time spent on gathering and reporting information. Additionally, there is a great variance in how one organisation reports data compared to another organisation. So, we are often not looking at apples to apples and, instead, apples to grapefruit. What do we need to get the FEP off the ground in Australia? An organisational body to coordinate the project and the key software suppliers to offer the FEP measurement tools in their software offerings. A key to the success of the FEP is the participation of a variety of donor software firms – many of them offering the same products in Australia. Most already have the FEP reporting mechanisms built into their software. Read the 2017 Fundraising Effectiveness Survey Report here and judge its value yourself. What happened? 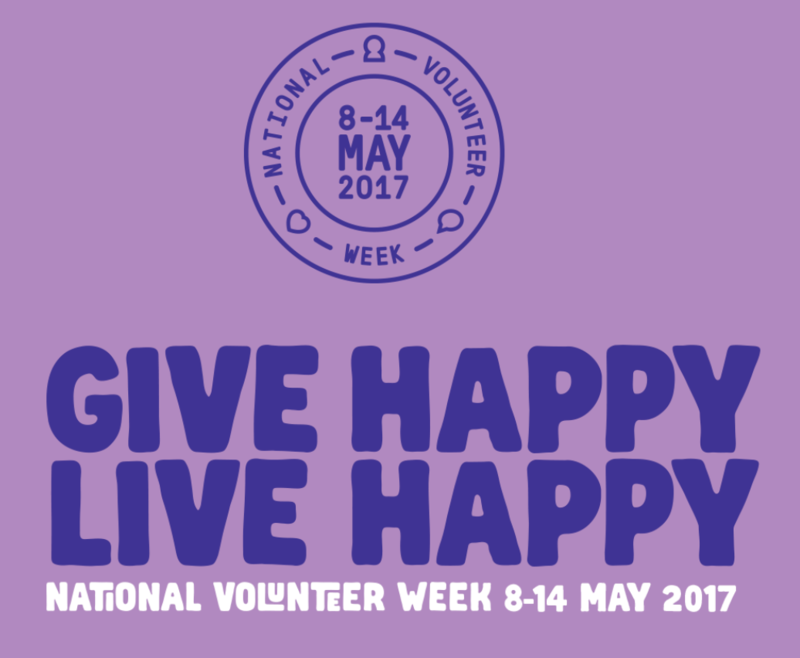 National Volunteer Week was 8 May and was a missed opportunity. The week came and went and charities, volunteer service, and other organisations failed to recognise it and what it stands for – volunteer recognition. Not a single organisation I volunteer for mentioned it, sent any sort of eNewsletter, eMail, or any form of thank you. Did you hear about it or get recognised by an organisation you serve? Weeks like these are developed as marketing campaigns to assist charitable and volunteer organisations. The campaigns not only recognise a special day or week but they encourage others to join in. They remind the general public the importance of, in this case, volunteer service to those in need. The campaigns offer an opportunity for your organisation to capitalise and to offer you an additional reason to reach out to and engage with your volunteers. Volunteering Australia offered a host of resources available on their Website. Naming a volunteer of the year. Calling and simply saying thanks! Volunteering Australia offers 101 ways to recognise your volunteers.